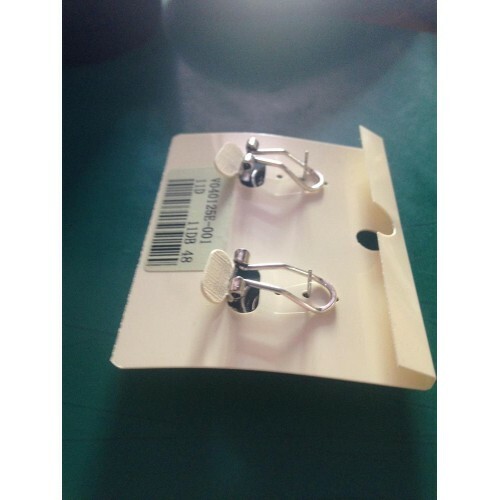 Stud earrings (or clip, has both possibilities) with silver-colored finish. They depict a coiled snake. The head and the eyes are of red crystal.